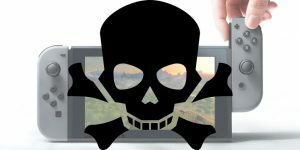 Nintendo Switch: Dead Pixels Are Normal, Says Nintendo | Nerd Much? A normal manufacturing defect, perhaps. It’s normal for not all of my christmas lights to be working straight out of the box, but that doesn’t mean I’m not going to return it for a fully functioning set. In addition, technology has come a long way from dead pixels on an LCD screen being normal. Even the original PlayStation Portable had huge problems with the latter before being fixed by improving the technology itself and manufacturing techniques. However, that doesn’t seem to mean that you’ll be getting any help from Nintendo. And if you continue to have problems, Nintendo has suggested that the Switch does come with a warranty. So good luck, and I hope you don’t get too many dead pixels on your screen.